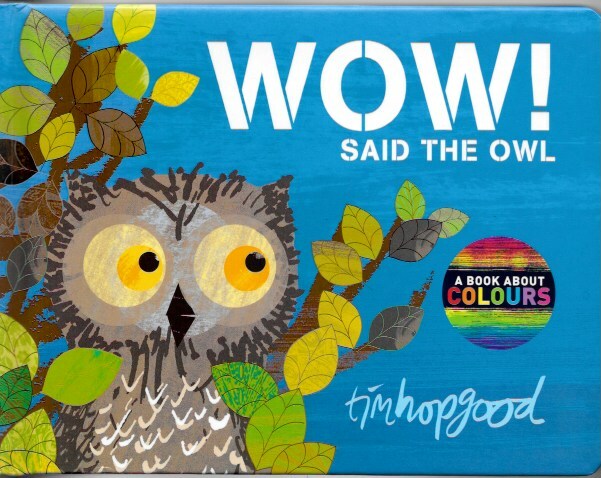 Do you or a family member have a favourite picture book, read so many times that everyone knows it by heart - and can see the illustrations with his or her eyes shut? Yep. EVERY NIGHT. You might be able to slip in another book as well, but this one has to be the last book before sleep. It’s reassuring and upbeat, with a sense of wonder - and my 10 month old granddaughter already loves it, too. 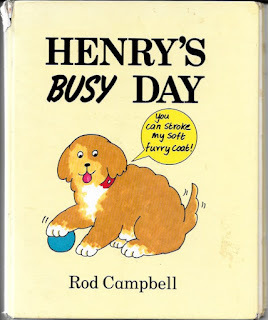 Henry’s Busy Day by Rod Campbell - with the much-stroked (and snot-wiped-off) furry ending that makes you go aaah. My sons totally identified with Dave and his toy dog. It’s quite a long book, so after the umpteenth reading, I’d attempt to skip the odd page, or summarise. They always caught me out. I remember the feeling of comfort and safety that this story gave me as a child, and finding it again is like a warm hug from the past. So what do all of these very different books have in common? I think it’s that they lull the child into his or her happy place. 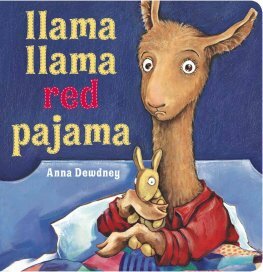 What picture books have you read again, and again, and AGAIN? Jane's very happy to report that one of her four granddaughters is currently stuck on one of her books - Who Woke the Baby? illustrated by Charles Fuge - at one and a half she's too small to say why, but she clearly loves to roar at the lion and clap at the happy ending. Where The Wild Things Are by Maurice Sendak and The Cat in the Hat by Dr Seuss were two of my childhood favourites that both my children wanted read to them repeatedly. 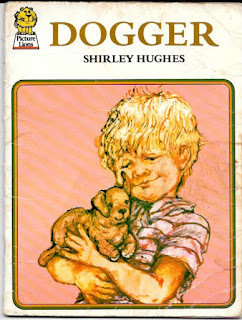 I must have read both hundreds of time, but I still love them, which has to be the hallmark of a great children's book. For my niece is was 'ROAR' by Margaret Mayo & Alex Ayliffe. She just loved joining in the ROAR!!!!! And they got loader and loader as we worked out way through the story. I can't remember what I used to get my parents to read when I was a kid. But as an adult I just love 'Tadpoles Promise' by Jeanne Willis & Tony Ross. I think it was my first laugh our loud moment in a book shop. A clever and funny book. The Wedding Procession of the Rag Doll and the Broom Handle, by Carl Sandburg illustrated by Harriet Pincus. Bumble B. Bear Rides in the Car (not quite the literary light of the Sandburg text--but all our kids can still recite it twenty years later!). Thanks Annette, sounds intriguing - I only know Carl Sandburg through a handful of poems and the Rootabaga Stories (and only those because I worked in an International School library), so I'll check out those 2 books. 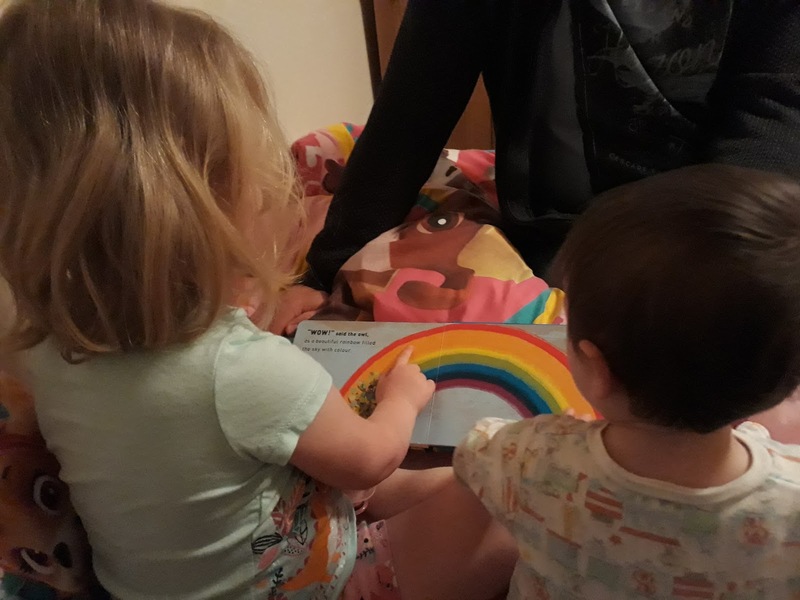 My middle daughter knew The Baby Who Wouldn't Go to Bed (Helen Cooper) so well at two that she looked like a fluent reader, reading the whole thing through alone with the right intonation. It was spooky. My eldest absolutely loved Scarlette Beane (Karen Wallace and Jon Berkeley), and my youngest, So Much (Trish Cooke, Helen Oxenbury). And Mary Murphy's Here Comes Spring, Summer, Autumn and Winter (which we had to get out of the library again and again and again) -which is so simple, but really sweet. As children, we went for The Elephant and the Bad Baby to read to my little sister (Elfrida Vipont and Raymond Briggs) and Millions of Cats (Wanda Ga'g) -which my mum had also loved as a child- as well as tonnes of Dr Seuss (which also got read endlessly with my children, especially One Fish, Two Fish, Red Fish, Blue Fish). Wow, she could recite it at two? Impressive! Some major classics there in your list, thanks Clare. 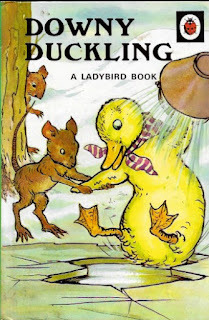 I have favourite books from my childhood, but I can't remember anybody reading them to me apart from one babysitter, but they must have done so. Or perhaps our cat was magic and read them to me and then wiped my memory?! Memory is such a weird thing. However, I do remember reading to my own children and know 'Dear Zoo', 'Farmer Duck', 'The Whales' Song' and 'We're Going on a Bear Hunt' off by heart. 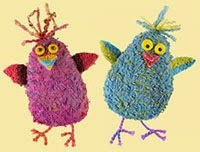 And 'Owl Babies' too - how could I forget that! Oh yes. especially to Oi Frog - genius!